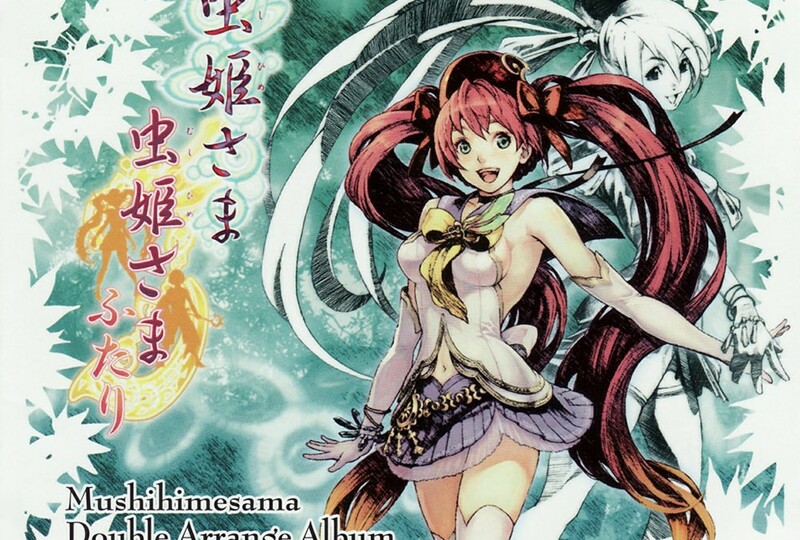 Mushihimesama Double Arrange Album was a special limited edition album that came bundled with the Xbox 360 version of the video game Mushihimesama Futari Ver 1.5. It features two discs of arranged music from the game by a large group of different video game composers. Yoko Shimomura is responsible for the song Sea of Frozen Crystals on disc two. Mushihimesama Futari is a bullet hell shooter that was originally released by Cave for arcades in October 2006. The game was later ported to the Xbox 360 and iOS in 2009. The game has five main stages with an end boss and mid-boss. Players can play as one of two characters, Reco or Palm with a choice of shot type. The player must dodge enemy bullets while firing back and collecting gems.